Flood events — the nation’s most common and costly natural disasters — cause millions of dollars in damage every year, displacing families and disrupting communities across the country. During Hurricane Harvey, for example, flooding caused by more than 60 inches of rain contributed to a significant amount of the more than $125 billion in damages across Texas and the surrounding states. The worst part is, the Consumer Federation of America estimates that nearly 80% of Harvey victims did not have flood insurance. Despite the dangers they pose, many home and property owners underestimate just how life-changing these events can be — especially those in low-moderate risk flood zones. 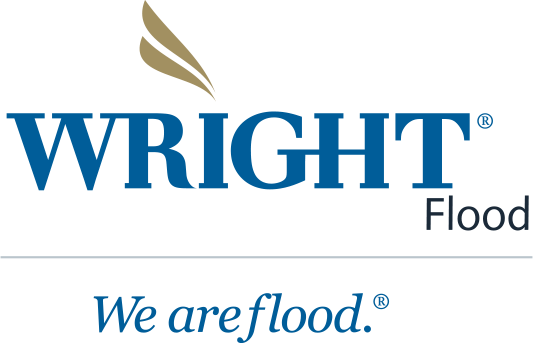 At Wright Flood Insurance, our team is serious about flood safety, so we’ve pulled together five of the most common assumptions about flooding to help set the record straight and ensure you have the facts you need to stay safe. What do you think, are these assumptions true or false? Get the answers below, then share them with other members of your community. Myth #1 – Only those who live in tropical climates or along the coast are at high risk for flooding. Those who live inland don’t need to worry. A recent study conducted by the University of Bristol found that flooding rivers put 41 million Americans (more than 3 times the current estimate) at risk. Rapidly rising river levels during and after a storm can cause expensive damage to both infrastructure and personal property across the country. Myth #2 – 100, 500, and 1000 year flood events happen only every 100, 500, 1000 years. Myth #3 – Flash floods only happen where there are streams and rivers. Myth #4 – A pickup or a large SUV can safely drive through flood water. You should never attempt the drive through flowing flood waters, no matter how high they are. According to the NOAA, “More than 50% of all flood fatalities are vehicle-related.” In fact, it only takes 18 inches of water to sweep away a large vehicle. And it’s not just the risk of being swept away – flood waters could be covering damaged roads, dangerous debris, and more. Myth #5 – There is only one way to know if a potential flood is a threat to you and your family – local news reporting and media. In addition to local news, Wireless Emergency Advisories can make a huge difference in saving lives. While local news and media are subject to blackouts, these free mobile device-powered emergency updates do not require user sign-in or download and can deliver updates relative to a person’s location with ease. Get connected today with the FEMA App, available in the iTunes App store and Android App Marketplace.